Collect your favorite characters from the hit survival-horror game, Five Nights at Freddy's! 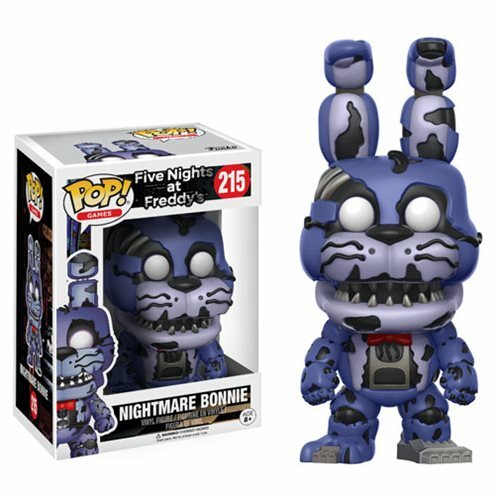 Nightmare Bonnie has been reimagined with the Pop! Vinyl stylization. This Five Nights at Freddy's Nightmare Bonnie Pop! Vinyl Figure measures approximately 3 3/4-inches tall and comes packaged in a window display box. Ages 8 and up.